Maine Coast has appointed Sheila Adams to Vice President of Sales and Marketing and promoted Michael Delahanty to CFO; Peter Brent to VP of Operations. Like many employers in Maine, Tom Adams is committed to providing his employees with meaningful health insurance as part of their benefits package. 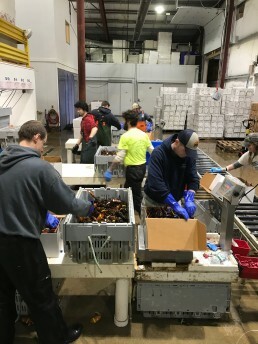 The founder in 2011 of Maine Coast, a lobster and seafood wholesale business, employs just under 50 workers at two sites, one in the town of York and another at a small satellite shipping office in Boston. Maine Coast, a world-wide distributor of North American lobster, and Independent Health Advantage, a Direct Primary Care (DPC) medical practice, both companies headquartered in York, Maine, have created the first partnership in the State to integrate Direct Primary Care into an employer – sponsored benefits package. Several times a year, we have the good fortune to participate in seafood industry trade shows and Maine- or USA-sponsored trade missions. As a company, we prioritize this investment to have the opportunity to do business face-to-face with our customers. 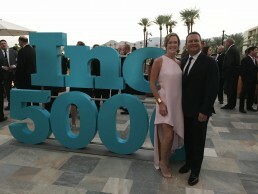 Maine Coast, a live lobster wholesale company headquartered in York, Maine is proud to announce it has been awarded a place on the Inc. 5000 list of fastest growing privately held companies in the United States. The ranking, released by Inc. August 16, 2017, lists Maine Coast at 2,749. 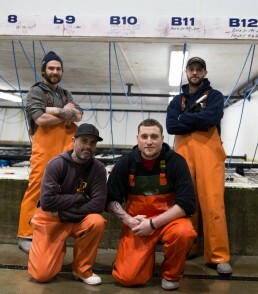 Maine Coast supplies seafood wholesalers around the world. 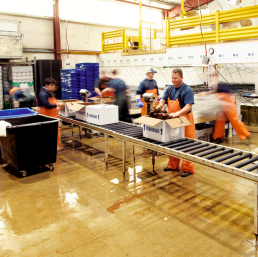 With over 30 years of lobster experience, we have the expertise to ensure you’re getting the best Maine lobsters. Strong partnerships up and down the Maine and Canadian coastlines afford us the unique opportunity to source and price only the best selection for our customers. Sign up for our newsletter and be the first to know about news and happenings from Maine Coast.